The University of Geneva was founded in 1559 and is a world-class university, made up of 7 faculties, and is one of the 20 members of the League of European Research Universities. It has a distinguished academic record in very diverse fields of natural sciences, social sciences, medicine, the arts, law and psychology. Because of its geographic proximity to the UN and other international organizations, the University has privileged links to bodies such as the WMO (in particular the IPCC and WCRP Secretariats), the GEO secretariat, the WHO, and the European offices of UNEP. 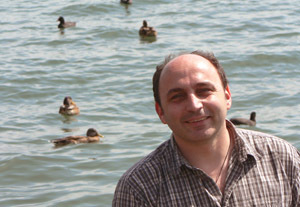 The domain of climatic change and climate impacts is a relative newcomer to the University, which has rapidly closed the gap by appointing the coordinator, Martin Beniston, in October 2006 Full Professor and head of C3i (Climatic Change and Climate Impacts Research), and his research team.